Europe is an end-time Babylon. It is where you find a mix of ethnic groups (there are 87 distinct ethnic groups in Europe), and at least 23 different languages are spoken; Europe is a patchwork of political parties, and a mix of Catholics, Hindus, Muslims, Jews and Buddhists. The current hub of this modern day Babylon is Brussels, Belgium, a city of about 1.4 million. It is nearly impossible to explain to an American, but Belgium is a country of six governments, Brussels has a city with 19 mayors, and the city is the de facto headquarters to the European Union and NATO. Belgium, wedged in between Germany, Luxembourg, The Netherlands, and France, has spawned a top-heavy number of jihadis. “The maximum number of Belgians who at one point were active in Syria or Iraq has climbed to 516,” Belgian Arabist and author Pieter van Ostaeyen said in his blog. “At this point Belgium is, per capita, by far the European nation contributing the most to the foreign element in the Syrian war.” It is said that Belgium’s Muslim population stands at nearly 800,000. This is huge for such a small country. Belgium has always been a confusing country. Even the security services in the city of Brussels are confusing, (a Babylon within a larger Babylon). With a population of 1.4 million inhabitants, the local police force is divided up into six police corps spread over 19 boroughs. Sharing security information in that setting is slow and inept. At times the government of Belgium simply grinds to a dead stop. The nation went without a cohesive government for a record 541 days in 2010 and 2011. • On May 24, 2014: An attack on the Jewish museum in Brussels killed four—an Israeli couple, a French, and a Belgian employee of the museum were shot dead by French ex-Syria jihadi Mehdi Nemmouche. • On Aug. 23, 2015: The man who tried to commit a terrorist attack on board the Thalys train says he found his Kalashnikov and the ammunition in a park near Brussels Midi. The Moroccan Ayoub El Kahzzani got on the train at the Brussels station and initiated the attack shortly afterward. • On Friday, Nov. 13, 2015: At least two French terrorists living in Brussels traveled to Paris to cause carnage in the heart of the city. The killing spree took the lives of 130 and injured hundreds. • Two of them were French citizens and brothers living (and born) in the Molenbeek suburb in northwest Brussels, a third was a Belgian who left for Syria a year ago. The first brother is called Brahim Abdeslam, who killed himself using an explosive belt in a café at the Rue Voltaire. A second brother, Mohamed Abdeslam, was arrested on suspicion of involvement in the plot but has since been released. The third was Salah Abdeslam, 26, who was arrested in Molenbeek after a dramatic shootout last week. • In March 30 People died in Brussels when terrorists attacked the airport and a Metro station—the Maelbeek metro station in Brussels. Many of the terrorists have ties to the Brussels borough of Moleenbeek—I was in Molenbeek just one week ago—it is within greater Brussels; its population is around 95,000, 80% are Muslim. Molenbeek has high levels of petty crime: muggings, drug dealing and burglaries. Molenbeek has been allowed to become a breeding-ground for jihadism. Muslim youth turning to jihadism are given the excuse that they are victims of social and economic exclusion—this is the argument of the political left socialists that are so dominant in many European countries. Behind many of the attacks is ISIS. We estimate that ISIS has carried out or inspired roughly 76 terrorist attacks in 21 countries outside Syria and Iraq. ISIS has gone global, and has not only found a fertile recruiting ground among some of Europe’s most angry youth, the group is also taking advantage of the geopolitical storm it helped create in Syria. The single biggest story in Europe over the past 18 months has been the refugee crisis, as millions stream into the continent to flee Middle East wars. In 2015, more than 1.3 million migrants entered Europe; there’s little sign of a slowdown in 2016, with 155,000 people having arrived by sea this winter. German Chancellor Angela Merkel, Europe’s de facto leader, is at her political low point for allowing over 1.1 million refugees into Germany. This did not go over well with millions of German citizens. Chancellor Merkel then orchestrated a deal with Turkey to continue housing Syrian refugees outside of the European Union. The deal, which hinges on giving Turkish citizens visa-free travel throughout Europe, is causing outrage across Europe. Europeans are angry and fearful about letting another 76 million people (that is the population of Turkey) from a largely Muslim country travel freely throughout Europe. Europe is approaching its breaking point. And it brings us back to the issue facing Europe in 2016…will the European Union begin to fracture? Terrorist strikes in European cities, the refugee crisis, high unemployment throughout much of Europe, all these factors are working to drive a wedge in the European Union of nations. Remember HISTORY reveals THAT Democracy in Europe is a fragile thing—we take it for granted. Eventually, in the not too distant future, we will see a tyrant come to power ON THE CONTINENT— and democratic Europe will give way to a dictatorship. At first this man will appear reasonable and charismatic, inspiring hope, but soon after drawing support from other European leaders he will pursue an expansionist agenda. His dictatorship will encompass much of Europe—Europe will become an economic goliath –and in a blitzkrieg like strike this BEAST of Europe will move troops into the Middle East fighting against and subduing a Middle East leader labeled as the King of the South (Daniel 11:40-43). Terrorist attacks in Europe will lead to greater disagreement among the EU-28 member states. The nations and citizens of Europe will disagree on how to handle the Muslim extremist threat within their borders—A turbulent year ahead for Europe. So many areas of disagreement exist between EU member states. Will this polyglot consisting of 28 nations, where 25 different languages are spoken, survive as a united entity? For certain we see in this super state a modern tower of Babel. The EU today is on thin ice; it continues to be both a political and economic giant, but a wobbly giant ready to keel over. Remember, the population of the European Union is over 510 million, nearly 200 million more than the United States and don’t forget the EU’s GDP is larger than the American GDP. Europe’s economy and its refugee crisis impact the whole world; it is a mistake to think of Europe as an impotent antiquated place that plays a minor role in the world. Europe today is being pulled apart. Topping the list of disagreements is the refugee crisis. Germany is pressing member nations to take in more refugees; Poland, Austria, Hungry and Italy are aggressively saying no to Angela Merkel of Germany in this request. Austrian Chancellor Werner Faymann announced his country would only accept a limited number of asylum-seekers each day — an announcement that led to border closures up and down the Balkans – The relationship between Chancellor Merkel and Austrian Chancellor Faymann is frigid. Border controls and border fences have been implemented all over the continent, as nations take individual measures to blunt the flow of refugees. Hungary, Austria, Slovenia and Macedonia have all built a fence to stop the surge of refugees coming up through Greece and the Balkans. This is something that Germany did not want (fences erected at borders). The Chancellor believes fences will only encourage nationalistic behaviors and distrust between European nations. Chancellor Merkel of Germany wants to see a Europe that helps the refugees, a Europe that will not be divided over the goal of free and easy travel within the European Union Schengen zone, the European free movement area that allows easy trade and travel between European countries. As summer approaches Austria is preparing to close its border with Italy, a move that raises the prospect of tens of thousands of migrants being stuck in Italy, creating a similar nightmare that has developed in Greece. Angela Merkel is often described as a leader of rectitude, but the rest of Europe sees her embrace of the refugees as an attempt to spread her compassionate blunder across the entire European Union. Related to the refugee crisis is the question of what does Europe do about terrorism. Here is an area of great disagreement between Germany and France. Earlier in the month before a joint meeting of French and German officials, French President François Hollande said in an interview with the German newspaper Bild, “Our two countries must agree to a budgetary effort on defense. And to act outside Europe. Let’s not rely on another power, even a friendly one (a reference to America), to do away with terrorism.” Hollande believes Europe has a responsibility to fight against ISIS, Germany takes a much more passive approach– determined not to get drawn into the Middle East mayhem. The horror of World War 11 still hangs over the German people; they will not be quick to enter into another war with ISIS or any other nation. As well, it was France and Belgium that were attacked by terrorists not Germany. Since the Germans have not been attacked in the same way they are more sanguine. There are two Europes. 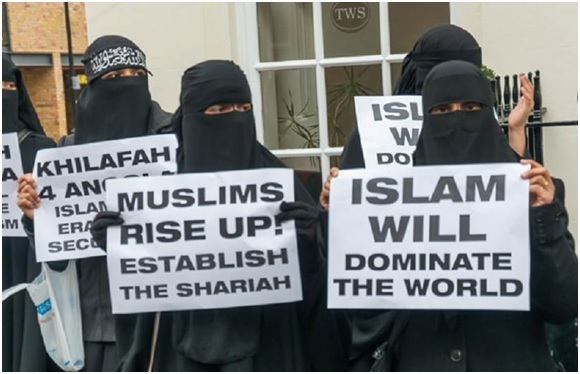 One, the Europe such as France, Hungary, Austria and Poland, who are frightened about the jihadist threat, and the other Europe is the Germany of Europe that does not want to overreact to the Middle East crisis, including the Jihadist threat. France is acknowledging that Europe cannot simply rely on the U.S. to fight wars with the jihadists. Germany does not want to be pressured by France to get entangled in the Middle East chaos. France believes that the Middle East chaos is already here in Europe, and we need to do something about it right now, and that German leadership needs to wake up to that reality. The division between France and Germany is growing and it is significant. The deep fissures within the European Union are also reflected in the forthcoming Brexit decision. Will Britain leave the EU? Germany wants Britain to remain in the Union. But that discussion is for another day. 1. The chaos in Syria, Iraq, Libya, North Africa and Afghanistan is creating a massive wave of migration into Europe. Syria is the chief catalyst for this exodus from the Middle East into Europe. The emigration crisis is creating enormous political fissures within the European Union. Nations cannot agree on how to handle the crisis. Poland and Hungary have made it clear, they will not accept migrants from the Middle East. This has not gone over well in Germany, who has accepted over one million migrants in the last year. 2. Syriais in a strategic location globally. It borders, Jordan, Turkey, Israel, Iraq, and Lebanon—nearly 5 million people have fled the Syrian civil war, many of these refugees live in squalid camps in Lebanon, Turkey, Jordan and Iraq. They have nowhere to go and most are unemployed. This is a tinder-box waiting to catch fire. 3. There are 97 opposition groups agreeing to the ceasefire in Syria. With that many distinct groups, all-vying for power, do not expect rebel forces to overthrow the Assad government anytime soon. 4. Syria is crucial to Russia. It provides the Kremlin with a port in the Mediterranean Sea with exposure to Southern Europe. 5. Russia supports the Assad regime, and does not want to see a “democratic” Syria. Russia does not want a democratic Syria. From Moscow’s perspective, better to have a brutal dictatorship in Syria that it can influence than a democratic Syria that may pull away from Russia. 6. ISIS CONTROLS THE SYRIAN CITY OF RAQQA. Raqqa, is a provincial city in northern Syria that ISIS has made its operational center and the de-facto capital of the Islamic State. 7. America failed to stand up to Assad in Syria. President Obama drew red lines, yet he did not follow through on his word regarding Assad’s use of chemical weapons. The Arab Middle East, Israel, Iran and Russia all took note of America’s lack of resolve. Many look at the U.S. as a tired, wobbly superpower. Where does Israel fit into this chaos in the Middle East? For now the civil war in Syria has helped Israel. With the Arab nations fighting one another, the ongoing civil war in Syria, the threat of ISIS in the region…these factors mean that the nations of the Middle East have little interest in attacking Israel at this time. As for ISIS, of all the places ISIS is attempting to expand, Saudi Arabia is the most attractive and potentially the most dangerous for the rest of the region. It is home to Islam’s holiest sites, Mecca and Medina. Saudi Arabia’s monarchy is weak and getting weaker. Its oil wealth is located on a politically unstable fault line between Sunnis and Shiites. The price of oil is hurting the Saudi economy. Look for more terrorist activity against Saudi Arabia at the hands of ISIS. Getting back to Syria. We know eventually its enemies will overwhelm Syria, and that Damascus will be completely destroyed (Isaiah 17 & Jeremiah 49); but we are not quite there yet time wise. For now Russia and Iran will not allow Syria to be overrun by rebel forces. The downfall of Assad would allow ISIS to fill the power vacuum should Assad be driven from power. No one wants to see Syria ruled by ISIS. Syria, Iraq, Afghanistan, Libya, Yemen are all broken. Brother against brother, tribe against tribe is the theme playing out in much of the Middle East. The prophecy of Ishmael’s descendants, that they would be engulfed in endless conflict is what we see today: “his hand will be against everyone and everyone’s hand against him, and he dwell in the presence of all his brethren” Genesis 16:12. Syria will not heal until Jesus Christ returns, overthrowing all the governments of this world, and establishing the Kingdom of God on earth.